The data in LAMP-Guatemala Database (LAMP-GUA3) were gathered during 2004. For confidentiality reasons, we preserve community names. The surveys in Guatemala (LAMP-GUA3) were made possible through an association between the LAMP and the University of San Carlos in Guatemala (click here to find out more). 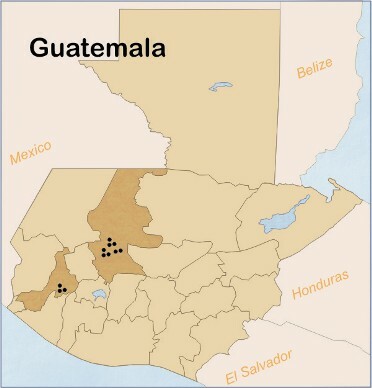 In addition, in 2000, Professor David Lindstrom began fielding a survey on migration and the diffusion of contraceptive knowledge and acceptance in the western highlands of Guatemala, in the department of Quiche. Click here to find out more about these communities and make sure to visit our "Citing Us" section.